Scope of application: Laptops,cell phones,MP3,DVD,TV,radio,computer,CD player and amplifier connection between sound and audio signals and transmit them to achieve the record between the device and the device cab also be applied to car audio signals transfer. Outside is imported green PVC material,and certified by UL fire,high durability,safety and reliability. Let your computer presents lossless sound quality,so shocking auditory experience to meet your desire for music. Conductor of 99.99%(4N)oxygen-free copper,to ensure smooth transmission of audio signals,fidelity. 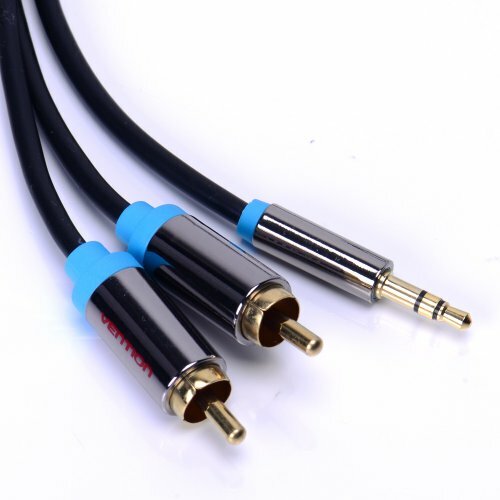 View More In RCA Cables. If you have any questions about this product by Vention, contact us by completing and submitting the form below. If you are looking for a specif part number, please include it with your message.